Welcome to FeedBACK Casino! Brought to life in 2014, this is the first online casino comparison website based on player recommendations. You can sort the casino list, select your favourites and compare them side-by-side to find the perfect casino for you. FeedBACK is a guide for players by players, and based on their own experiences. Our passion for gambling is the utmost priority at FeedBACK, and that is why we empower the players! Don't hesitate to share your experiences with other members of the community! Add casinos to our comparison tool and find the best one! 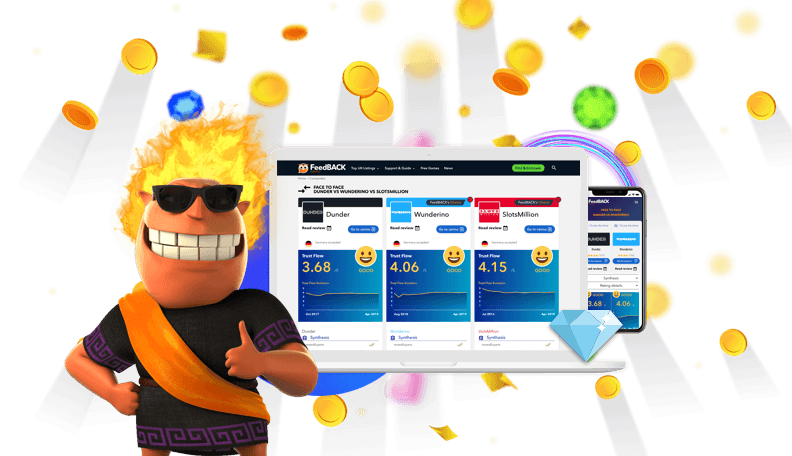 What does FeedBACK Casino compare? 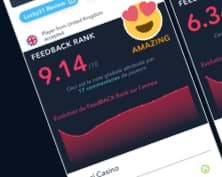 Feedback Casino is a truly independent casino guide that offers transparency and provides relevant information and unbiased reviews, so that you can play safely. Our guide aims to support you with your passion for gambling. With this in mind, it offers reviews for the best land-based casinos and the best online casinos. Do you prefer a bonus without deposit? No problem, you can find all types of bonuses here. Grab the good deals now! No misunderstandings: we check the availability and languages of the casinos. Do not play at a casino where you don't understand the language! 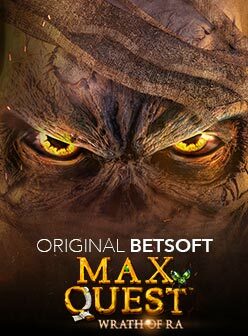 Which casino software do you prefer? 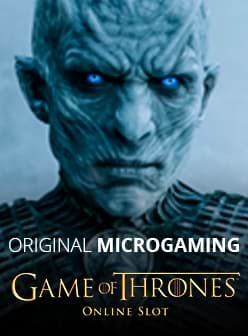 Microgaming? 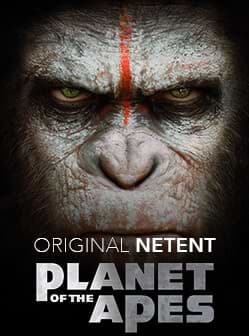 Netent? 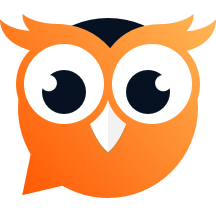 FeedBACK lists all available softwares, so that you can find your favourite developer! As players don't always play at their desktop, it is important to check the compatibility of games on different platforms, such as desktop and mobile. 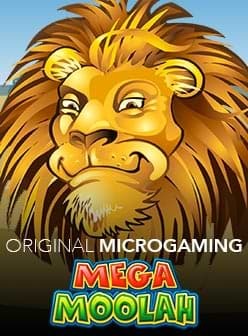 Is this casino reliable? Play with confidence as safety is our number one priority! We want your experience online to be safe and secure! It is sometimes necessary to contact a casino to ask for assistance. We provide information on contact methods.